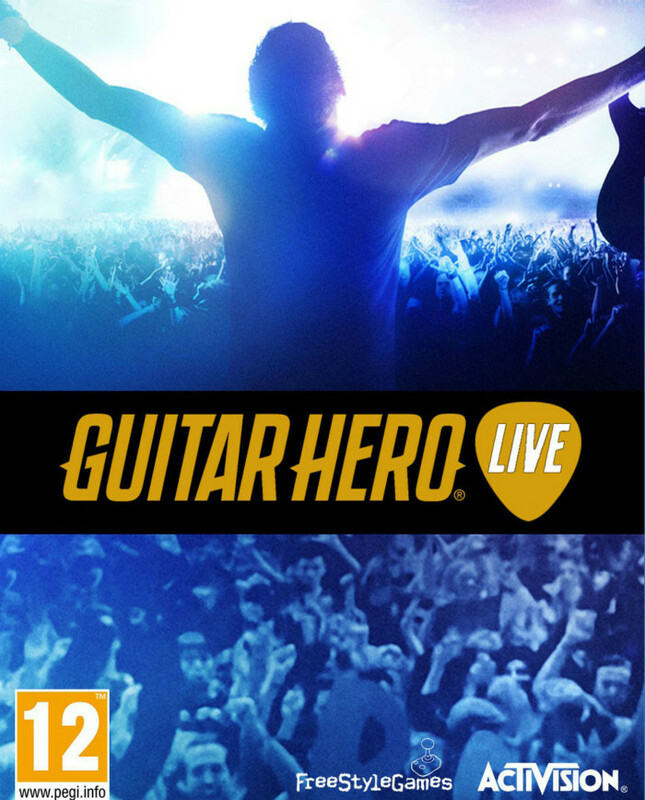 Guitar Hero Live is a music video game released for PlayStation 3, PlayStation 4, Wii U, Xbox 360, and Xbox One in October 2015 and to iOS devices including Apple TV in November 2015. The game is the seventh installment of the Guitar Hero game series. We can not find a matching font for the video game logo, but it was very probably designed based on Tungsten SemiBold (oblique), which is a condensed sans serif designed by Hoefler & Co. You can take a look at the letters comparison between the text set in Tungsten and the actual logo. In addition to Guitar Hero Live, Tungsten typeface is also used in the following logos, movie posters or album covers etc., including: Walking Dead, Central Intelligence, Just Dance (Video Game), Relatos salvajes, Red (Taylor Swift).